So how do I get started with Soaring4Traffic? How come I can't delete a website? How many websites can I list on Soaring4Traffic? What is the 'Report Abuse' link for? Does Soaring4Traffic have a referral program? How do I promote Soaring4Traffic? Why am I not getting PSC rewards? Pop Ups are Allowed only if they do not require an extra click to close. Live agent popups, exit popups that require an extra click to move to the next page will be suspended. That depends... Nester members earn a 3:1 visitor ratio. If you view 100 member websites, you'll receive 33 page views to your own website. However, Soaring4Traffic rewards active surfers. Be sure to look for your bonus credits on your surf bar. Also view pages as you surf carefully for prize pages. So in fact, our 3:1 surf ratio does two things; 1) It makes sure traffic is flowing and you GET page views to your site. And if you have a Bald Eagle membership you'll earn a 3:2 visitor ratio. If you view 100 sites then you'll receive 66 page views to your website. And last... but not least... if you have a Soaring Eagle membership you'll earn a 1:1 visitor ratio. If you view 100 sites then you'll receive 100 page views to your website (plus bonuses). Imagine how many page views that Could be? Auto assigning means simply that the credits that you have earned by surfing and from your referrals are automatically applied to the url(s) that you have listed. Nester members must auto-assign 50% of their credits, Bald Eagle must auto-assign 25% and Soaring Eagles must auto-assign 0% of their credits. You can list up to 5 sites as a Nester member, 15 sites as a Bald Eagle and 40 sites as a Soaring Eagle member. Simply go to the "My Sites" section of your member page, click on the "Add a new site here" link and type in the new website information and click the "Add" button. This link is in place to help us keep Soaring4Traffic as one of the best Traffic Exchanges online. You use this link to report any websites (you see while surfing) that might violate our Terms and Conditions or notify us if a site is having problems. After we receive an email, we can then notify the site owner. The 'Report Abuse' link will also allow you to report abusive banners and text links. Keeping your account active is imperative. When an account reverts to inactive, your advertising is placed on hold. To re-activate, login, surf a few sites, and be sure to place all your advertising, sites, banners, and text links back in rotation. Yes. As a Nester member, you receive 10 credits, 100 banner impressions and 100 text link impressions for each referral member you refer and you earn a percentage of credits from your referrals. Also, you earn 10% commissions on upgrades and 5% for any credits sold to your first level referrals! Bald Eagle (Upgraded Members) receive 20 credits, 150 banner impressions and 150 text link impressions for each referral member they refer and earn a percentage of credits from their referrals. They also earn 30% on upgrades and 15% for any credits sold to their first level referals! Soaring Eagle (Upgraded Members) receive 30 credits, 200 banner impressions and 200 text link impressions for each referral member they refer and earn a percentage of credits from their referrals. They also earn 40% on upgrades and 20% for any credits sold to their first level referals! Please check your bulk email folder first. Unfortunately some ISP's do not deliver our emails. If you are using AOL, Comcast, Yahoo or Hotmail free accounts, you might not receive. We suggest to do business on the Internet a free Gmail account. Might still go to your bulk folder but will at least be delivered. Also make sure you are not logged in twice, i.e. on another computer, test my logging completely out using the logout link and logging back in. Also some of the new and updated browsers will need to be viewed in full screen mode. Find the icon usually at the top right of your browser and change your browser to full screen. The Power Surf Central rewards are controlled by the PowerSurfCentral.com site. 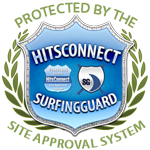 Your referral ID numbers must be entered in the Power Surf Central downline builder. Please ensure you have entered the correct NUMBERS for each of your accounts. This is a one time setup. If you have more than one account at either of the exchanges, this will cause an error. It is also against the terms of service to have more than one account. More than one account can result in all your accounts being removed from the databases.